The Gardens of Peterborough understands that at times individuals may need additional assistance to maintain their lifestyle and independence. The Gardens' Enriched Care® Assisted Living program is the ideal solution for older adults who need some assistance with daily activities such as bathing, dressing, and medication administration. Our supportive services are available to meet both planned and unplanned needs in a way that promotes the maximum dignity and independence of each resident. Sometimes this assistance is needed because of short-term setbacks due to illness, and sometimes individuals require assistance due to physical challenges or other health issues. Regardless, we focus on wellness and keeping residents as independent as possible by providing a tailored plan of assistance. Our Care teams include 24 hour, on-site registered nursing staff and certified Health Care Attendants who provide personal assistance with medication administration, bathing, dressing, hygiene and other activities of daily living. This extra assistance can be temporary or permanent, depending on individual needs. The Gardens of Peterborough is committed to allowing residents to continue to enjoy their lifestyle in their communities, even if their health care needs increase. 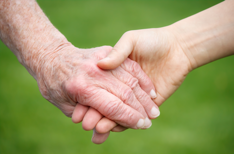 If a resident's needs increase, they have the reassurance of knowing that extra services can be provided by caring individuals who are already familiar with them. Each of our retirement communities offers a full range of Care options so that friends, routines, tastes, and care-providers don't need to change if circumstances do. And should Care needs decrease, residents return to our traditional Independent Retirement program without having their lives and the lives of their families disrupted. It's an innovative concept called "Healthy Aging in Place" available in very few retirement communities. Assisting a loved one with a retirement community decision can be challenging for everyone involved.